At the offices of K.R.E Group LLC. we are known for our production & professionalism. The Sales associates located in our office specialize in Real Estate from Austin down to South Texas. Our team consists of civil engineers, accountant managers, project managers, sales associates, and designers just to name a few.Add value & dramatic natural good looks to your home improvement projects. Whether you decide to install new window treatments, remodel your kitchen or bathroom. Our professional team of experts will help you every step and every phase of construction. Zendo Renovations is a cutting edge team that specializes in creating Feng Shui environments. 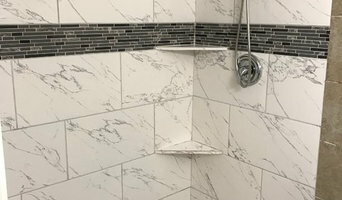 We specialize in building showers, kitchens & baths using whole earth, stone & tile to create the look and design you've always wanted. About Us MM&I Remodeling Company has sought to deliver the highest level of craftsmanship to Texas Hill Country and surrounding area. We pride ourselves on our familiarity with the people in and around the Boerne, Comfort and Kerrville areas. Our historical and structural knowledge of the homes in our area, and our continuing effort to improve our professional skill through our participation in industry workshops, conventions, round table panels and continuing education is of the utmost importance to everyone at MM&I Remodeling. 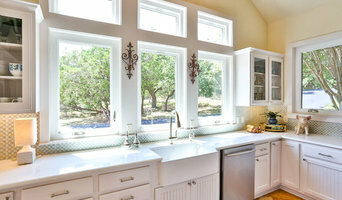 When considering a remodel of your Boerne or Hill Country home, think MM&I Remodeling. 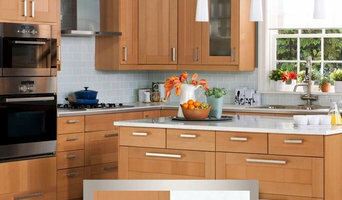 Tim and Chelsea McGovern design and remodel kitchens, bathrooms and more. They build all types of custom cabinets and make sure to work to your budget. Dream big with McGovern Woodcraft & Design. Tim & Chelsea both graduated from Texas A&M with degrees in geology. Once the oil bubble burst in 2014, they were faced with the decision to leave San Antonio and move to Houston for new jobs, but wanted to preserve their way of life. After renovating their own 1936 home, neighbors came knocking for help on their own project, which pushed them to start a remodeling business. Together, they can do all or part of the creative design process, including to-scale 3D sketches. Their focus is on custom cabinets, custom furniture, and remodeling. Tim is originally from Corpus Christi. His dad's a Geologist, his mom is a Mechanical Engineer. And yes, he too is a Geologist. But his true creative center is fulfilled when working with wood. He loves the exacting process of building custom pieces and seeing them come to life. Precision is the name of Tim's game. The game of woodcraft, that is. Chelsea finds inspiration in every home she meets. She's fascinated by the path homeowners (and their guests) take as they navigate around their home. She has a gift for seeing the unseen, and finding ways to maximize living areas so that everyone is at their best in their home. For Chelsea, every home has a story that needs to be honored, and she loves working with homeowners to help them find their homes true north. Reach out today and find out why San Antonio’s McGovern family can help bring your dreams to life. San Antonio Area Kitchen & Bath Best of Houzz 2014-2019! We provide quality custom cabinets/furniture, we pay attention to detail and give great customer service. 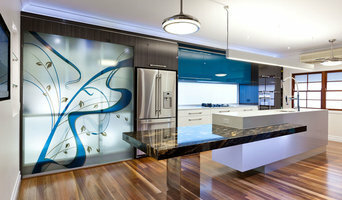 We use a wide variety of materials: Exotic Woods, Hardwoods, Laminate, Veneers, Metal, Glass and Solid Surface. Commercial & Residencial Specialists. We also install LED lighting, Special hardware and USB outlets. NEW SERVICES PROVIDED: Murphy beds, Solid surface countertops, Audio/Visual Cabinetry (podiums) and Treehouse’s! Call for your free estimate today! We have been in bussiness for 8 years, we habe a small but trustwhorty company that ensure customer satisfaction, all work comes with warranty and we help our customer to achieve their dream home. CL Constructions is San Antonio's premier general contractor and remodeler. We approach each project individually and believe that your new home is a reflection of yourself and your style. Our passion is helping your dream home come to life! The excellence of CL Constructions is the brainchild of Mr. Minh Le, a professional home remodeler with more than two decades of experience in the construction career. His own business inaugurated in 2010. Since then, he has brought innovative ideas to the table. His expertise covers all areas of the work—from planning the strategy for a house remodel, to the final analysis of a completed renovation. With his years of experience and continuous diligence to current trends and designs, Mr. Le has brought a refreshing professional approach to home remodels. He plans alongside his customers, making sure that they are in the loop with every new task his team will proceed on to. If you want to upgrade your kitchen without significantly reducing your bank account, consider refacing your kitchen cabinets. A budget-friendly option with huge impact, cabinet refacing costs about half as much as replacing your cabinetry, takes a lot less time and money, and allows you to still use your kitchen while the refacing is underway. Browse San Antonio, TX cabinet refacing professionals on Houzz and find someone who can transform your kitchen with just one quick project. Cabinet refacing professionals in San Antonio, TX have the power to create a practical yet personalized space just by refacing your cabinets. When it comes to the finished look, your options are endless — veneers and door/drawer fronts come in a variety of colors, textures, patterns and more, allowing you to mix and match choices to get your desired look. New hinges, drawer pulls and knobs complete your cabinet makeover and add crucial details. Create an ideabook on Houzz and save examples of the cabinets you want — this will help your San Antonio cabinet refacing contractor get on board with your vision and make your design a reality.